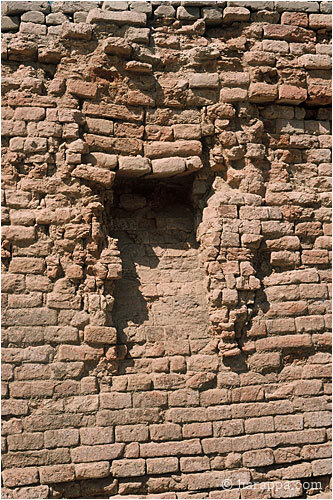 Many of the buildings at Mohenjo-daro had two or more stories. Water from the roof and upper storey bathrooms was carried through enclosed terracotta pipes or open chutes that emptied out onto the street, such as this one on a house in DK-G Area. (See a modern example of this type of open drain chute in Slide 100).